Photo Article: General Election Result from Toumbia is in: Tory win! The Mrs claims that she has put up a Labour poster in our house back in Bristol. The shame of it. What will our god fearing, hard working, tax paying white van driving neighbours think of us. They will have no idea that I am not, like the Mrs, a deluded Guardian reading lefty. The Mrs also made it clear that My Tory poster would be used as litter by Oakley or ripped up by Joshua in my absence. 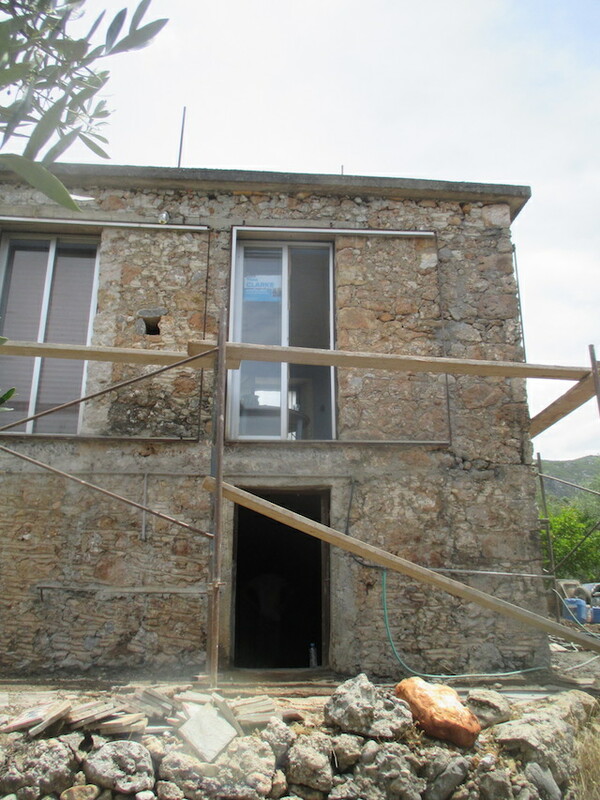 So I have brought it to Greece and as you can see it is now up on display ay the Greek Hovel. There are several dozen houses in the large geographic area of Toumbia but only two are inhabited: the Greek Hovel (sometimes) and the house of my nearest neighbour, two miles by track away, Charon. He is, of course, mad as a box of frogs so Id but him down as a SNP voter. But since he's Greek he can't vote in the UK election which means that we can already call Toumbia as a landslide win for the Conservatives. 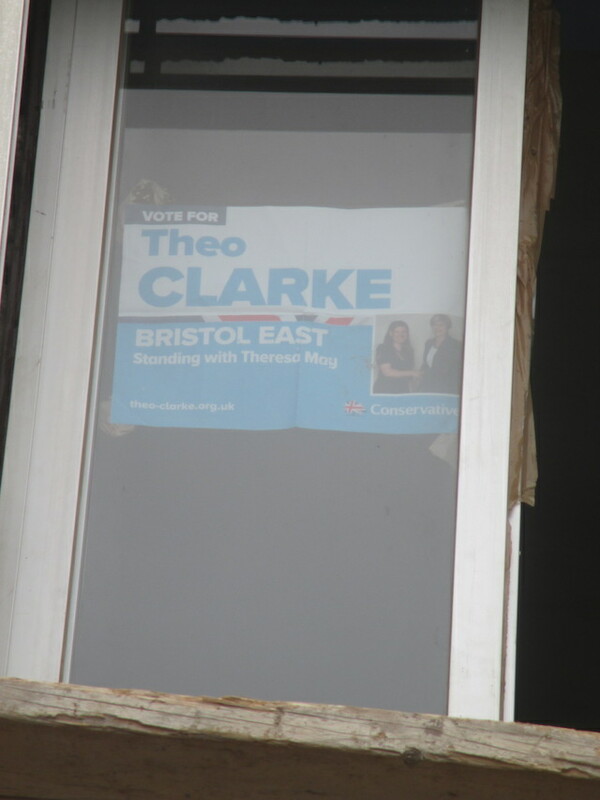 Theo Clarke, our Tory candidate back in Bristol East is a remoaning member of the (London) metropolitan elite who appears not to have a shred of Tory DNA in her body. But given that our sitting Labour MP Kerry McCarthy is a barking mad extremist, I have held my nose and voted for Theo. I sense that Bristol east may well go the same way as Toumbia.